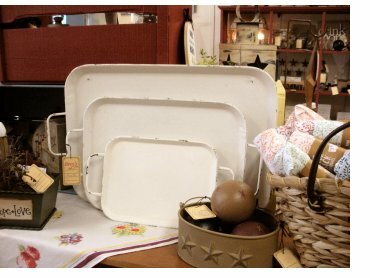 Home décor and gifts for all occasions at Brey's on Seventh. Regardless of where you call home, more than likely you have added accessories to both the interior and exterior that reflect your sense of beauty and style. Many prefer to keep accessories to a bare minimum and for others the term “more is better” seems to apply. We work very hard to find pieces to add a touch of color, nostalgia, and in some cases whimsy that reflect your personal taste. This means we must stay in touch with trends in styles, color, and materials to bring you pieces that are current. Many retailers try to be all things to all people by trying to offer everything under one roof. We believe there is a difference between big box stores, furniture stores, and mail order sources when it comes to adding that special touch to a room. Our goal is to bring you the décor that will blend and accent your furniture and other furnishings and leave the large furniture to those that do it best. 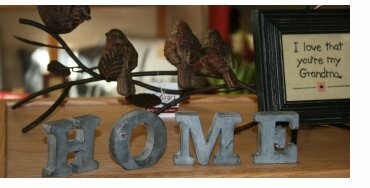 We do not look at our inventory as being the top ten sellers in any particular line, rather we try to find unique pieces that can serve multiple functions in the home and in some cases be one of those timeless pieces that can become part of your home for years. 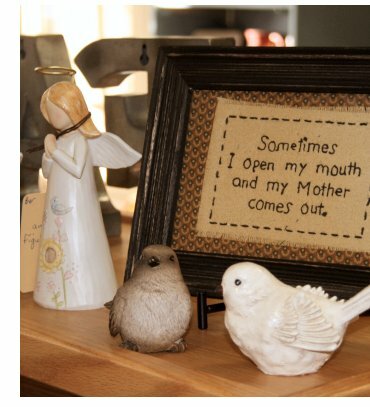 As the seasons change so does our offering in both décor and gifts. This keeps us busy with staying ahead of the season by placing seasonal orders up to 9 months in advance. We rely heavily on our suppliers that bring us notices of trends in decorating and color choices. Our vendor partners play an important part of our efforts and we select only those vendors that provide variety and reasonable pricing. There are all sorts of decorating styles ranging from the very rustic to industrial as well as traditional. Many choices are like fashions, in one season out the other, so we try to pick pieces that are timeless in their appeal and moderately priced so that when you need to change you are not holding an item wondering if you got enough value out of it to let it go. Many of our pieces are now lit with LED’s making them have a bit of sparkle while others are simply pieces that perhaps evoke a bit of nostalgia for a simpler time. We often hear that how we decorate our home speaks volumes about us, and we agree. And we will add that decorating away from home is an extension of us and how we feel about the place we work. In many cases the workplace is an extension of our home when we think of how much time we spend there. So it is natural that we want to express some of our style there as well. This can present a problem when space is limited, we would be pleased to help you find just the right pieces for you workspace. Regardless what you need to decorate we’d love to help you find pieces that fit well together or perhaps even that one piece needed to complete something you already have. We encourage everyone to bring items you wish to match with you, especially planters and containers. We can help you decide on floral and greenery that will be a perfect fit without guessing. 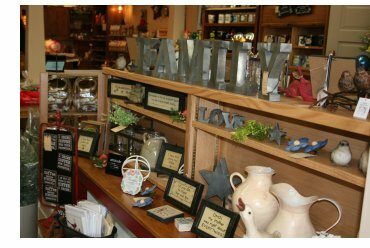 Unlike the big box store we don’t need to stick labels or tags on you items, our store offers that warm homey environment without the cold sterile security measures needed in a large store. written permission of Brey's on Seventh.